From claret-sipping Edinburgh worthies to the frequenters of unlicensed, debauched shebeens, the Scots’ relationship with premises licensed to sell alcohol is both long and complicated – as Tony Cooke’s new book shows. Tom Bruce-Gardyne reports. ‘The Scots have long had a problematic relationship with alcohol,’ writes Tony Cooke at the start of A History of Drinking – The Scottish Pub since 1700, a wise account that should inform the perennial debate on booze in Scotland. The role of women is well covered in the book. Though they were the original ale-wives or brewsters who brewed the beer, their presence was banned in Scottish taverns in 1699 for being ‘a great snare to the youth, and occasion for lewdness and debauchery’. The sexual revolution, right down to the provision of female toilets, took a long time coming to the Scottish pub. Pubs came in many guises. At the top of the pile were the taverns and inns where Glasgow tobacco barons could slurp rum punch while Edinburgh worthies espoused the Enlightenment over jugs of claret. Further down the scale were the ale houses which, by the late 18th century, were more into whisky than beer. Then came the tippling houses and dram shops, and finally the unlicensed shebeens. The drunken depravity of the shebeen, where the cocktail of choice was whisky and meths, induced a prurient fascination among the Victorian middle classes. This was fed by hacks from the North British Daily Mail (some things never change), whose reports included The Dark Side of Glasgow, which claimed the Old Town had 200 brothels and 150 shebeens. In 1800, estimated consumption of beer was 80 pints per head in Scotland. By 1830, that figure had slipped to 48, while whisky production quadrupled in the first half of the 19th century to nearly 7m gallons. The backlash was not in long in coming, with Britain’s first temperance society opening in Greenock in 1829. Within three years, there were 14 of them in Glasgow alone. They say the road to hell is paved with good intentions, and that seems true of those temperance campaigners, whose one-time battle cry was to make ‘drink stink’. Forcing men to drink against the clock, packed into a sweaty dive until spat out on the pavement at 10pm, didn’t exactly make for a civilised drinking culture. The Licensing Act of 2004 may have been naïve in its wish to transform us into a nation of wine-sipping pub philosophers like the French, but it didn’t stand a chance against the Daily Mail. After its crusade against ‘24-hour drinking’, the paper declared victory in 2010 when ministers pledged to scrap the act. Yet, in all its hubris, the Mail failed to mention that in those six years the average on-trade licence in Britain had been extended by only 21 minutes. It seems the headlines had already been written. The political fault-lines were also drawn years before, with the Liberals accusing the Tories in the 1860s of being ‘more afraid of the working classes when they think than when they drink’. For the anti-drink warriors, consolation came in the General Election of 1922 when Neddy Scrymgeour became Britain’s one and only prohibitionist MP for Dundee, ousting Winston Churchill in the process. The Second World War severely restricted the amount of whisky available in Scotland, and some publicans turned to Australian wine – of which James Watt’s bar in Greenock sold 1,746 gallons in 1940. Had the good folk of Greenock discovered Barossa Shiraz decades before it hit Oddbins and the UK supermarket? No. According to this book, they were drinking it spiked with meths as ‘Red Biddy’ or ‘Jake’. 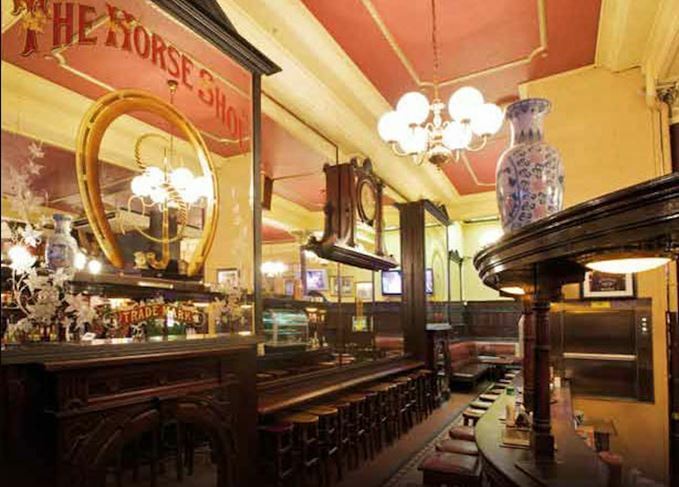 Today the Scottish pub is something of an endangered species, if you believe reports in the media. Thanks to the smoking ban, tougher drink-drive laws and a slowness to adapt, it is drinking ‘in the last chance saloon’, according to Scotland on Sunday. Then again, they said that about cinema in the 1980s, and that has bounced back – so maybe there’s hope yet for the great Scottish boozer. 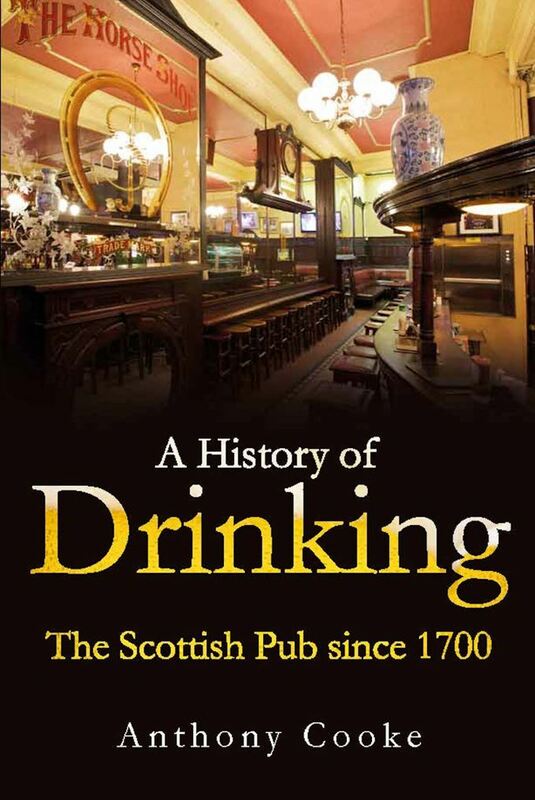 A History of Drinking – The Scottish Pub since 1700. Published Edinburgh University Press, £19.99.